Itâs been a great experience so far since I moved in, both receptionist ( Veronica and Ora) have been so helpful not only with my size storage needs but financially. Iâm happy with being at Redondo Mini Storage! Easy to access my belongings when I need to and feel safe at this facility. Great special prices and kind staff! Friendly professional staff and great location! Great place & best service! You guys rock! Easiest move ever!!! This facility is very clean and the employees are pretty nice for the most part. A few days after moving in the majority of my stuff I called to ask to borrow the truck that they advertise you can use for free up to 10 miles. Well looks like Joke was on me. Apparently you have to rent a 10x10 and I only rented a 10x5. Then the girl tells me that there isnât s driver there till Monday or Wednesday who is insured to drive the truck anyways. She said it was there for advertisement purposes and when I asked oh.. so it just sits there and you tell people they can use it but you donât really mean it? She realized she made a mistake.also I thought I would get the first month free with my AAA card and then 50% off the next 2 months. Well when I got there I learned it was either or. I probably would have gotten the unit anyways... I just donât like being lied to. Great cool Staff. Clean Facility. Everything was good about this place, but the hours. I think it's strange that the hours are so limited. Very nice facility and friendly staff! Jaime was very helpful in making sure I got the right size storage space and anything else I needed. The place was clean and I would recommend to friends! Great service all around. Easy access. Melody was so nice and patient, taking the time to help us. She took us to see several different units and helped us decide which unit was right for us, within our budget. The facility is very clean and everyone was really nice. Great location too! Customer service was great price was very good the storage facility was clean the experience overall was outstanding.I would definitely recommend it to everyone. Excellent customer service. It was a nice experience. the price to unit size ratio cool be better, and i signed up for a floor unit that did not exist. Generally good experience but this last year, due to work done above our unit, we have wood shavings all over our belongings. To clean this, means taking out our own time to clean it or get your staff to clean it. At the prices you charge, this was not very professional. Also, I discovered this mess myself and had to bring it to your attention. Anticipating this mishap before doing remodel work above our unit would have been nice. Otherwise, people have been friendly when we call or visit and we've never had a break-in. The stuff in the unit is smelling a bit moldy after 4 years. We live 30 min away, so do not visit storage unit often. When I first came by after reserving a space I was not sure if what I had reserved was sufficient for my needs. I was happily shown several other alternative spaces and found the one that best fit all of my needs. I was able to get a couple of additional promotional discounts which were offered without my asking. This totally sweetened the deal and convinced me to sign on the dotted line. Since then the customer service has continued to be excellent. The site is kept very clean at all times. I came by one day when it was windy after raining and they had closed the roll-down doors on the hallways to keep debri out of the spaces. Bottom line? I am totally satisfied and have nothing at all negative or bad to say about the facility or the staff! The staff is always helpful and plseant to talk to. I am very happy with my storage unit. I have been at RTMS for many years. Management has been very good for awhile now. they keep the facility clean and operate in a professional manner. they call me with reminders to pay my rent as to prevent a late charge. I appreciate their efforts. Very good value for the money. The front office and maintenance tech are very nice and attentive to our needs. Efficient. customer service and organization.. I'd refer to friends and family. 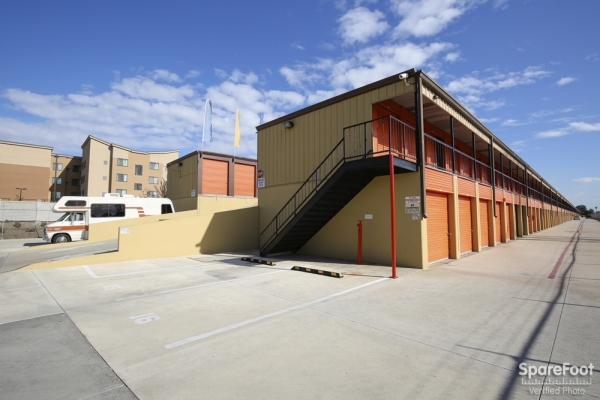 The storage units are clean and easy to access. The contract has good terms and you can enroll in autopay so no hassle with monthly payments. The staff is helpful and courteous. I have been a customer for a number of years and have found the staff to be professional, helpful and efficient. The facilities are safe and clean and well managed. Overall, I would say, "Keep up the good work!" Has been a good place for me to store things. Everyone has been very helpful. Nice, clean easy in and out, people aways helpful. I have the same complaint that I have had for the last 10 years. 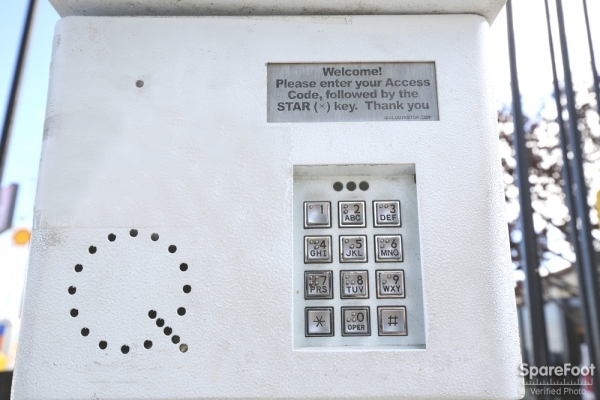 The monitor to get the fate opened and closed requires getting out of your vehicle for both transactions. Are they not able to get something that does not require this? I've had a space there for approx. 25 years. Except for one break-in incident, it's been a very good experience. All my experiences have been good. The Best Place to Store my stuff!!! customer service is awesome!! very nice people, the facility is very clean. They have great customer service prices are decent theyre not dirty but i think i would help a bit if once in a while they do something about the spiders. Ive seen black widows inside and outside the storages other than that its great! Best, Safe, Storage facility ever! 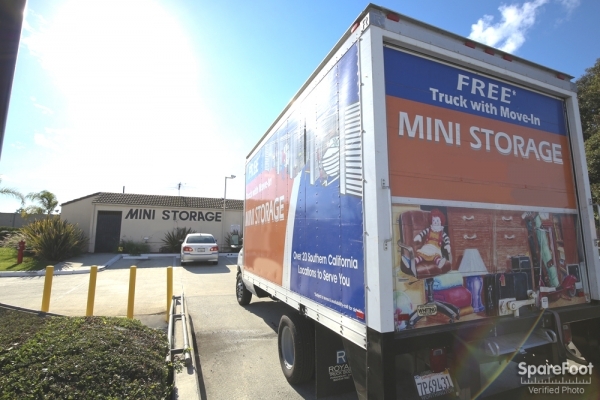 We love Redondo Torrance Mini Storage! 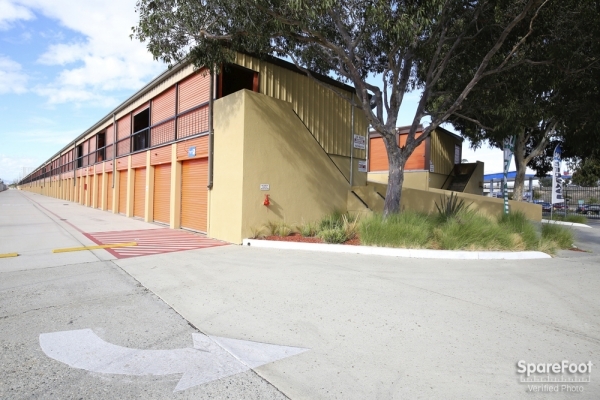 Its easy, clean and perfect location to our business location! Not much to say. I rent a small storage room and it's cheap. Access is easy and I've never had a problem with anything. Don't really need more than that. Overall, the experience was great from start to finish. Thank you! Great facility and great management! Clean and fair priced facility. Very helpful and knowledgable staff and management. Better than any other storage facility I have rented at. Would definitely recommend to friends and family! Amazing staff. They were extremely helpful in meeting my storage needs. Love it here! Very friendly, cordial, and helpful. Helpful staff and great verity of unit sizes. Customer service was horrible. Everyone said they were busy and kept me waiting although there was only one customer in the office. Was misquoted on pricing and storage location even though I was specific with my needs when I booked the unit. I was given an upper unit that required for me to maneuver my 15' moving truck around an area that had boats parked at the end of it and kept me from making a turn to get out of the property. I had to go the wrong way and back up 4 times just so I could get out. My experience was not good. Great staff, pricing and units! 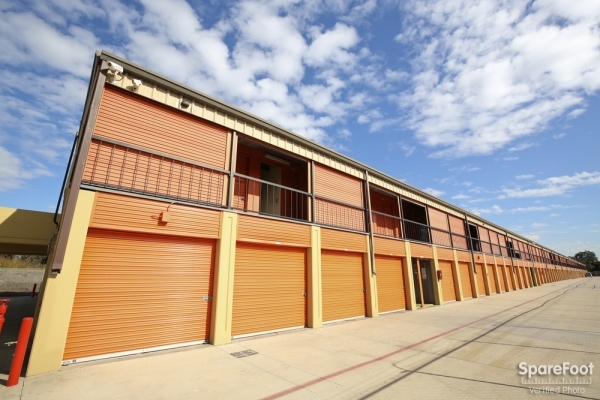 We got a great deal when we moved in and when we no longer needed storage, the process was simple and easy. The staff is awesome, too, very helpful and friendly. Fast, friendly and good value. Very fast and easy process with super professional management and staff. See above. See above. See above. See above. I appreciate the friendly reminder call if I've forgotten to make a payment. I have been a customer for over 10 years and my family members have been there even longer. 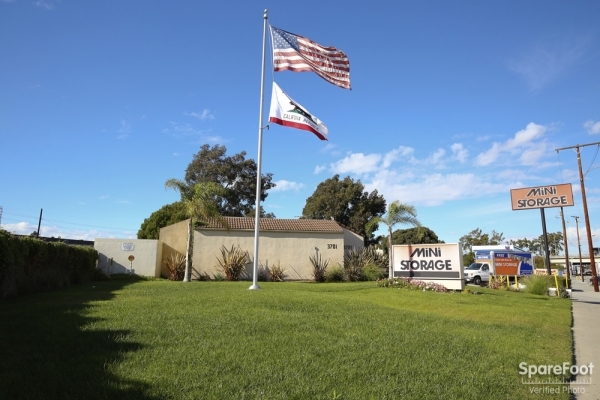 The staff is super-friendly, the place is always clean, and I couldn't see myself anywhere but at Redondo Mini Storage. Sandra DeMond, President - Exceptional Kids Parent Teacher Org. Convenient, clean and safe place to store needed items. 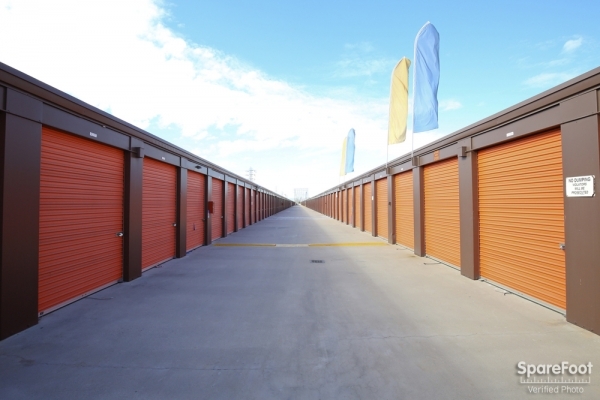 I have recommended your facility to several of my friends as one of the best places for storage of valuable items. 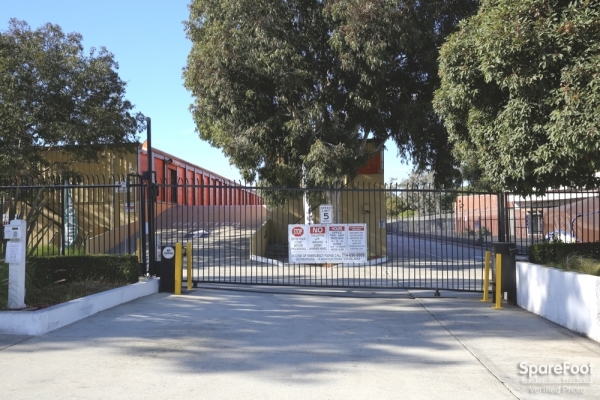 It is my hope that the price of storing my things at Redondo Torrance Mini Storage will not increase with time. My things are not worth a lot to put in storage. The location of the facility is convenient for me as it is close to where I live. Had a great experience! The staff was very helpful and attentive. They answered all my questions. The guy with the glasses (don't remember his name) was awesome! Excellent storage fascility with great employees. This storage is one of the best I have ever used. The employees are helpful and knowledgeable I have recommended this storage to friends. Everything always seemed clean. Never had any problems. People working there were ALWAYS nice and accommodating. I would use them again. 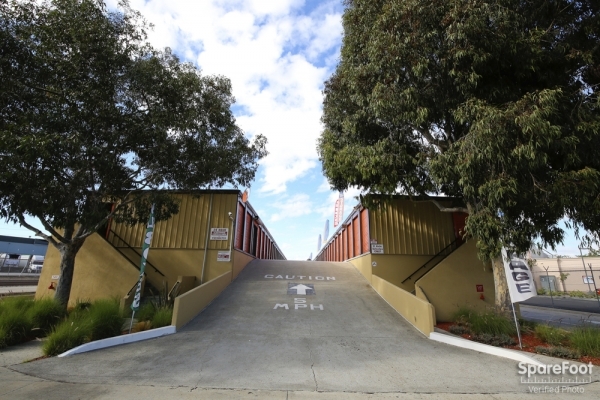 Ordered a 4x8 storage unit, realized pretty quick that it would not be enough, The attendant at redondo mini storage went out of his way to help me and provided me with a new bigger unit. It was overall a great experience. Great value at a great price. We needed a small storage unit for a short amount of time and Redondo Torrance Mini Storage worked out perfectly. The price was great an the facility secure and clean. Plus they have a truck to help you move!! Very helpful. I was very impressed with the staff. I had to make a last minute change on my move-in date and Aitofi was very helpful and accomodating. Office is run very professional. Your staff was very helpful and efficient. Only wish there was better lighting within the unit Great place! It was a good experience overall. Jordon was very helpful!! 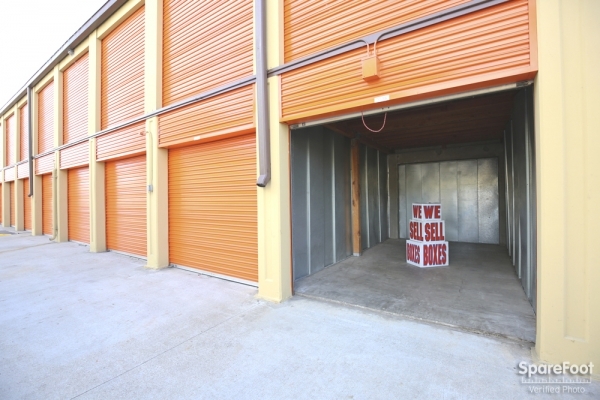 Great storage and location and good price. Did not think this would work for me until I stopped by. 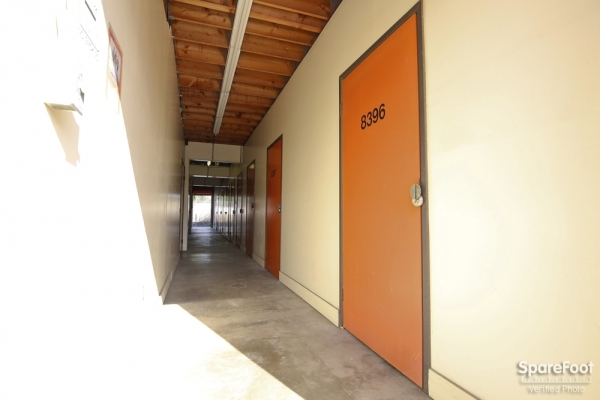 Management was friendly and efficient, units clean, reasonably priced lock provided, and free pick-up to bring belongings into storage. Sweeter with AAA discount. Would not hesitate of recommend this facility! Nothing bad to say. 100% prefer and would recommend over Public Storage. Customer service is great, everybody nice and willing to help out. My only slight "complaint", it's not even that really, is that the gate closes at 7pm. Sometimes tough to leave work then get over there by 7. I have been using this facility for years on and off for over 10 years. Very nice people and good location, too. Needed a small storage place to keep some camping gear, boxes, and some other random stuff. Got the 4x4 storage, $30 bucks a month which was 25% cheaper than anything else in the area. Couldn't move in until a week after I'd set my start date on Sparefoot because I was traveling for work - staff was patient, friendly, and helpful. Everyone has to have a circular lock, seems more secure than your typical combo lock since there is much less room to cut it off with a typical off the shelf lock cutter, and they sell them there at a reasonable price. I decided at the last minute to embark on a spiritual journey which included Los Angeles as part of my journey. 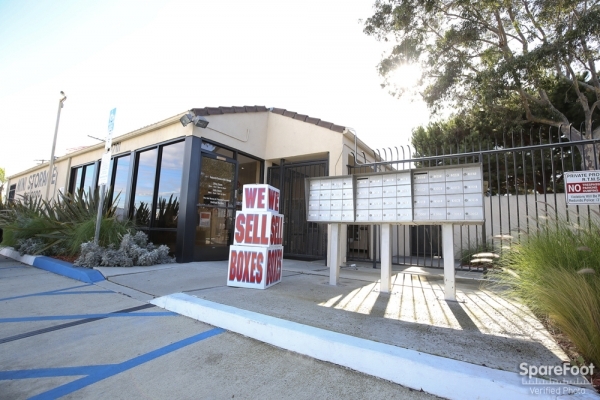 Knowing that I had a lot of stuff in which I had to bring with me I needed a affordable storage that was within traveling distance of the area of Los Angeles that I would be spending most of my time. SPAREFOOOT Storage suggested this location and upon a quick review saw that it was extremely affordable and had the exact storage space that I needed from their wide selection. I promptly reserved a storage arrived about 30 minutes minutes before office closing hours and was set up with my storage with no hassle and no trouble at all. They are clear cut in their explanation of the rules and guidelines and the paperwork was presented to me in an orderly and organized manner. 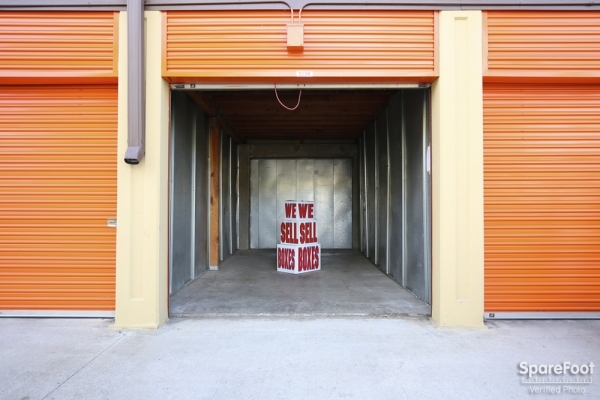 This was my first time renting a storage and I was pleased with everything all the way down to the price. Exceeded my expectation, literally effortless to rent. I was very pleased how neat and clean the facility is. I also liked the fact that my 4x4 unit was located on the bottom floor. Makes moving boxes a lot easier. The staff was also very pleasant and helpful. I like the idea that it is located right off the freeway since I am coming from Marina Del Rey. All staff members are top notch in customer service. I have used several storages over the years, this is the BEST so far. 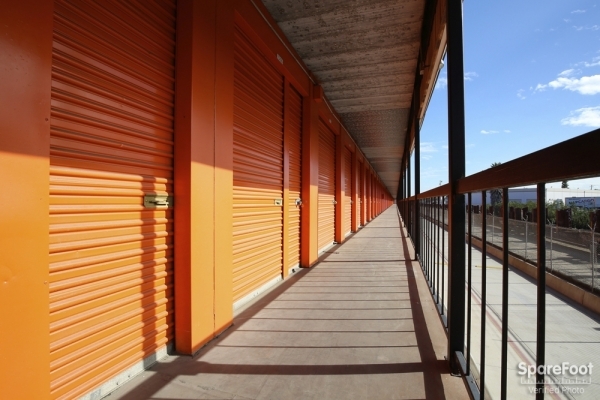 I have used this storage facility for almost five years and I have had outstanding service for the entire time. 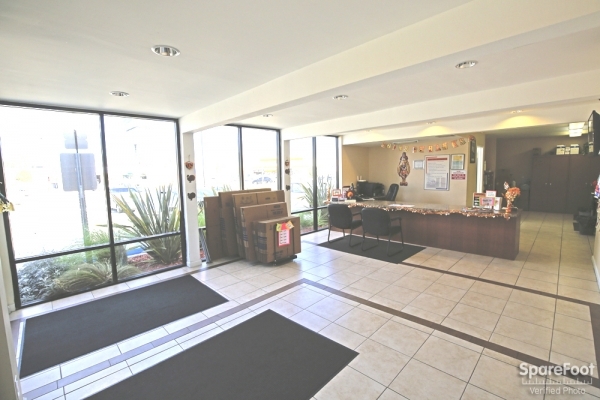 The service is great, the facility clean and well maintained, and the staff is super helpful. I have and would continue to recommend them to others. The staff is excellent and the facility is in great condition. I would recommend this place to anyone. The cost is reasonable and the staff is very helpful and nice. 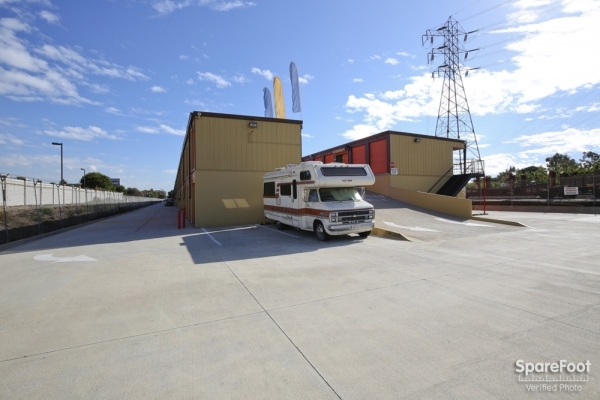 The facility is very easy to use and exceptionally clean. I'm happy with my experience so far.